Create your Peerkey and start trusting who you transact with. 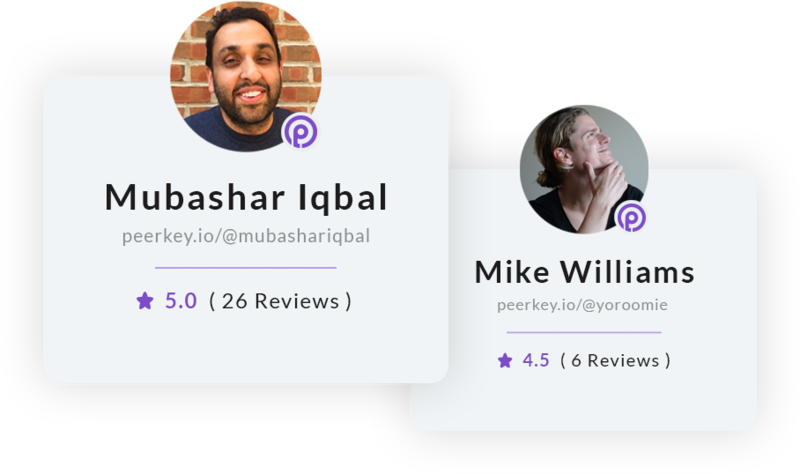 Your Peerkey will display your reputation for others to reference when trust is needed in peer-to-peer transactions. Add and share your Peerkey URL on social accounts for trust in social transactions. Use a Peerkey URL for adding trust in direct SMS conversations that are transactional. Add and share Peerkey on marketplaces for identity, reputation, and trust in new transactions.